At the Kenneth G. Mills Foundation’s 2017 Summer Festival of Light, Sound, and Peace: Celebrating Presence, Mallory Blair Randle, artist and ceramics teacher, presented slides of his vivid sketches done in Arizona and Ontario. As a remembrance of places and times that were dear to him – not just as a memory but “to point to a new experience” for the viewer – Blair highlighted subjects as diverse as the desert, leaping horses (“equine beauty”), and singing choristers. 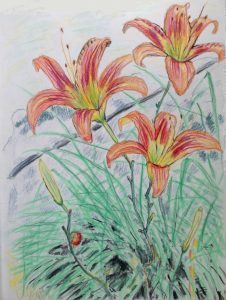 A colored pencil drawing with dashes of orange evoked the daylilies that lined the driveway of Sun-Scape Inn, where Kenneth Mills held annual summer festivals from 1975 to 1989. Participants in this year’s festival smiled at the sketches of a student raking the driveway, guests taking tea on the deck, the blurred frenzy that indicated dressing “after the second bell” for dinner, and the bucking dish-washing machine in the kitchen. In quick deft movements Blair was able to sketch the Star-Scape Singers in rehearsal. 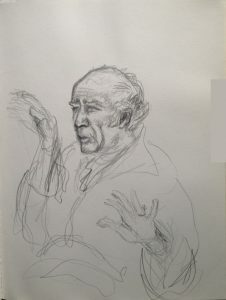 We saw “gesture drawings, images done very quickly to attempt to catch a fleeting feeling, nuance, or special moment.” In this way he evoked three singers in profile, for example. He also captured Dr. Mills’s expressive face and the blur of his conducting hands. The wild inhabitants of the desert also feature in Blair Randle’s book, Coyote Wisdom Visits Brooklyn and Travels the Universe. Distilled from his “chapel talks” to private-school students in Brooklyn, this intriguing volume – to all appearances magic realism – explores the author’s discovery of a deep, spirited rapport, spoken and unspoken, between humans and animals. 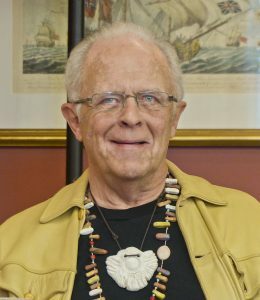 The stories are illuminated by the insights that Blair gleaned from the Shaman, his name for his actual mentor, Dr. Kenneth G. Mills. “On the surface, these are simple tales, but they startle. They not only make you see your relationship with animals in a different, far deeper way, but also make you re-evaluate your relationship to the world” (Michael Nill, educator, Mexico). 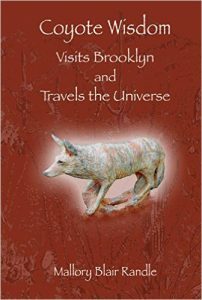 Coyote Wisdom Visits Brooklyn and Travels the Universe can be ordered from Amazon here. Sign up here to keep in touch. Beam me up, be right there; at least, in spirit! Mallory, you are a Great Star! Congrats. Thank you Glen Sawitch for the photo. And for recording this and so much of the Festival, not to mention your own fine presentation of the poetry contest and running the technical end of things for everyone! Awesome! I was delighted to be present for Blair’s rememberance presenatation at Summer Festival. For one, who never met Kenneth Mills in person, this presentation pointed to the exquisite experience of having a Loving and uplifting modern day guru. Thank you for the wonderful profile on Mallory Blair Randle and his presentation this summer. It focuses not only on the creative spirit of the man, but also on how he allows his True Essence to be his guide in communing with nature and human beings — a truly sensitive man in tune with all of Life.